Local star Oscar Cabezas posted the fastest time today at the Madrid track during Day 2 of practice for the 2007 1:10 200mm Euros. Although there was no official timing, the 20-year-old Serpent driver recorded a fastest lap time of 17.189 in the first of today’s four 10-minute sessions. 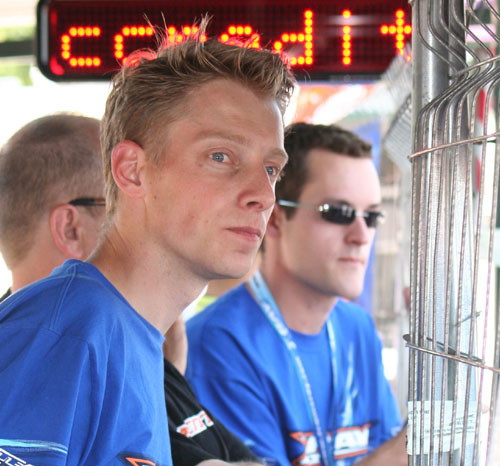 His closest rival on the hot track, which reached almost 50 degree at on stage, was leading Xray team driver Jilles Groskamp who despite not getting a proper run when the track was at it best managed a time of 17.265, a time the Dutch driver set in the final run of the day. One leading driver not have a good day was Roland Strom. The Kyosho driver struggled today with both car set-up and engines but the Swede is confident he will cure the problems for tomorrow and he should be in the running when official timing begins. Day 3 of the event is another practice day with 4 rounds of practice to run through. Red RC will keep you posted of progress throughout the day. 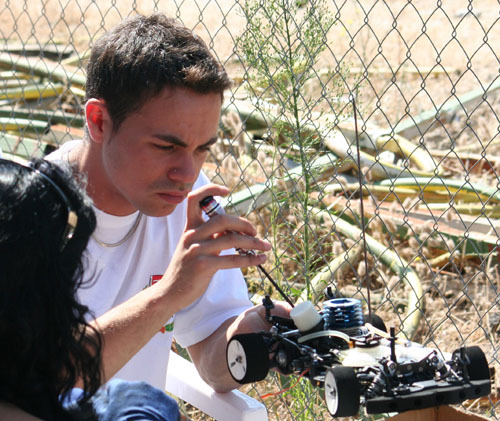 Local star and reigning Spanish 1:8th scale National Champion Oscar Cabezas is unofficially the fastest driver after three rounds of free practice on Day 2 of the EFRA 1:10 200mm European Championships. With a number of the leading drivers not running transponders it is hard to get a true indication of the current form however Serpent Driver Development team member was expected to be quick on a track he knows well. The young Spaniard set a best lap time of 17.189 in the cooler morning run and is followed currently by Mugen driver Rick Vrielijnck on a 17.313 with French driver Nicolas Bougnoteau next up on 17. 319. Fourth fastest is another local racer Javier Alonso Tojo with Team Magic’s Darren Johnson rounding out the top 5. With track temperature now running at almost 50 degrees Celsius, the track has started to slow as cars start to slide around more in the very hot conditions. 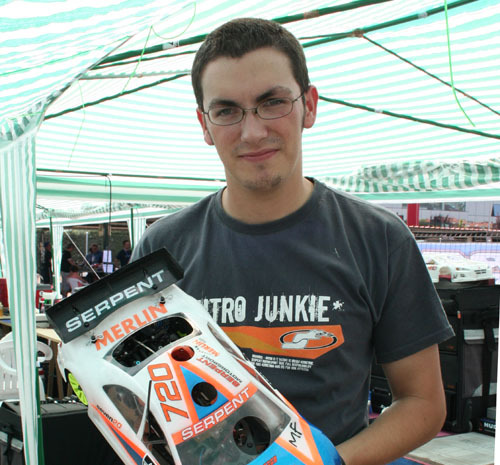 2007 Euro B 1:10 200mm Champion Alessio Mazzeo is here and the young Italian says he like the design of the track but would like more grip, a sentiment reflected by fellow country man Francesco Tironi who is one of the leading Kyosho hopefuls for the championships. The sports fastest female driver Sabrina Lechner described her opening practice runs as ‘OK’ but the talented German says she is confident of making improvements to her Mugen MTX4. Top Finn Teemu Leino is pleased with the performance of his NT1 as is his team mate, German 1:8th scale Champion, Robert Pietsch. One interesting entry to arrive today is Dutch driver Julius Kolff. Kolff was a development driver for Serpent on the 720 and did a number of days testing here during the creation of the car which he went on to win the Dutch GP with last year. Missing the first of today’s session’s he was happy with his first run and was looking forward to his second which unfortunately ended early when his 720 collected a stranded car and he was forced to retire. Drivers have one final session today with a number of the leading drivers working on two set-ups for the event, one of the cool morning runs and one for the hot afternoon runs. We will bring you a full update together with drivers views on today, later this evening. Day 2 of the EFRA 1:10 200mm Euros is underway and after the first round of four free practice sessions that drivers will get today the pace is quickening as the grip levels increase at the ARCA track. With no official timing today and many drivers running without transponders, a true indication of who is doing what is hard to gauge, but the fastest lap time from round one was just 1/10th of a second shy of the Madrid track record. All drivers are reporting that the tracks condition is improving but already Adrien Bertin is hinting at grip roll problems. Current Champion Dario Balestri who obviously likes to do his talking on the track commented, ‘track better’. Team Magic team-mate Darren Johnson was a little more chatty and said he really pushed the car hard this morning and was pleased with how it went. Leading Mugen driver Rick Vrielijnck was also happier with the track say it was more consistent however the Dutch driver suffered broken rear suspension during his run after being tipped into the side wall of the track. Fellow country man and arch rival Gilles Groskamp only managed 2 laps this morning with his NT1 due to a steering servo failure. The Team Xray driver was trying out a smaller servo which he normally uses in his electric Touring car. Serpent continue to be happy with the performance of their 720 with Michael Salven pleased with his first run of the day. Mark Green was also happy with his car but was switching engines ahead of the second session in a search of more power. Beautiful sunny conditions greeted competitors at the opening day of the 2007 EFRA European 1:10 200mm Championships in Madrid today with each drivers getting three 10-minute practice sessions to familiarise themselves with the ARCA track and to acclimatise to the rather hot Spanish weather. Round 1 of free practice turned into a systems check for all competitors due to a total lack of grip. While the grip levels improved for Round 2 it was not until the final run of the day that drivers really got up to serious race speeds and started to get a true feel for how their cars were working. With one of the biggest top name teams in the event, European Championship debutants Xray have an army of NT1’s in Madrid. Factory driver Gilles Groskamp has switched to Sirio engines for the Championships and the Dutch driver was very happy with his new powerplant. Despite a crash in his final run in which he broke his front right suspension he was pleased with day 1 of the championships. 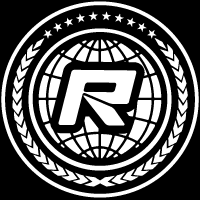 Tomorrow racers will get an 4 rounds of controlled practice and with the tracks grip levels improving teams and drivers will be able to get down to some serious testing. Red RC will bring you extensive coverage tomorrow as the pace starts to build up. 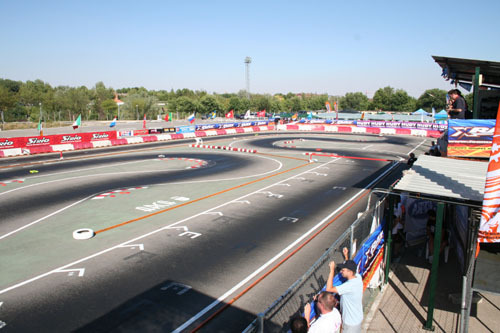 Next Monday sees the start of the 5th running of the 1/10th scale 200mm EFRA European Championships, and this year the event takes place on the ARCA circuit in Madrid, Spain. 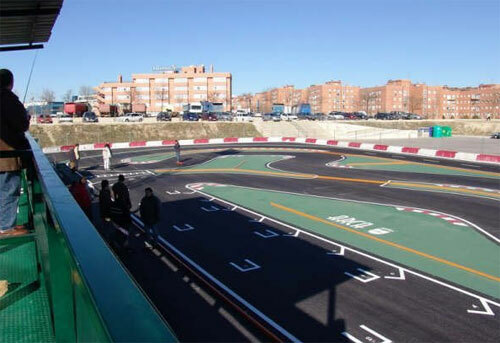 This track has already played host to the well attended but rain affected Spanish EFRA GP earlier this year, and on that occasion it was Team Magic driver Darren Johnson that took the overall win. Since that race a lot of teams have gone back to the track for further testing, hoping for some dry weather running to help fine tune their cars setup and gain valuable track time prior to next weeks event. So who are the favourites to win in Spain? Well as with previous European Championships there will be a quality field of drivers and cars at the event with a lot of potential event winners amongst them. 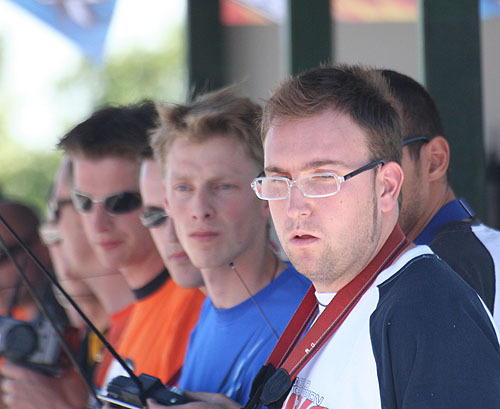 Beginning with current European Champion Dario Balestri, the Team Magic driver who won last year in Holland is out to defend the title and along with his team mate Darren Johnson who finished 3rd in last years Euros, should both be battling for the win. Serpent have a number of drivers in with a shout at the title, beginning with 2003 and 2004 European Champion Michael Salven as well as 2 time runner up Mark Green and top Spanish racer Oscar Cabezas. Mugen will be present with Teemu Saarinen, who along with Rick V. should prove to be the quickest racers at the event with the MTX while Kyosho come to the event with a large amount of top French talent, including Arnaldi, Wartelle and 2004 World Champion Adrien Bertin as well as the always fast Tironi from Italy. 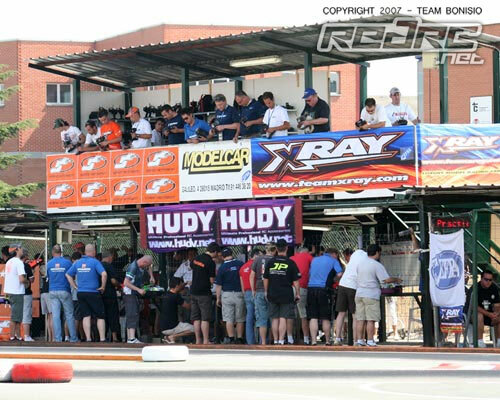 The largest team of top drivers and the greatest unknown will probably be the Xray team who are making their big time debut with the NT1 and they are coming with the big guns including Groskamp, Leino, Walti, Peracho, Pietsch and many more all in with a chance to make the final.